Deal between American Airlines and their pilots could help the company emerge from bankruptcy and merge with US Airways. Pilots at American Airlines overwhelming approved a labor deal with the bankrupt carrier, a move that could lead to the airline emerging from bankruptcy and possibly merging with US Airways. The Allied Pilots Association said that 73% of the roughly 8,000 active pilots voted for the deal. The pact includes some concessions on work rules and benefits but is better than an earlier deal the pilots rejected in August. The election process was contentious. Union president Keith Wilson criticized some members who he said preferred to see the airline go out of business rather than agree to the concessions. And despite the vote, it's clear that the union is still very critical of American management. "The APA leadership continues to support a merger with US Airways as the best path to a stronger, more competitive American Airlines," Wilson said. American Airlines, whose parent AMR Corp. (AAMRQ) filed for bankruptcy just over a year ago, said it was pleased with the vote. It said also it will move ahead with plans to come out of bankruptcy. The company faces a March deadline to have a reorganization plan approved by a bankruptcy judge. "Today's ratification gives us the certainty we need for American to successfully restructure," said Denise Lynn, American Airlines senior vice president. 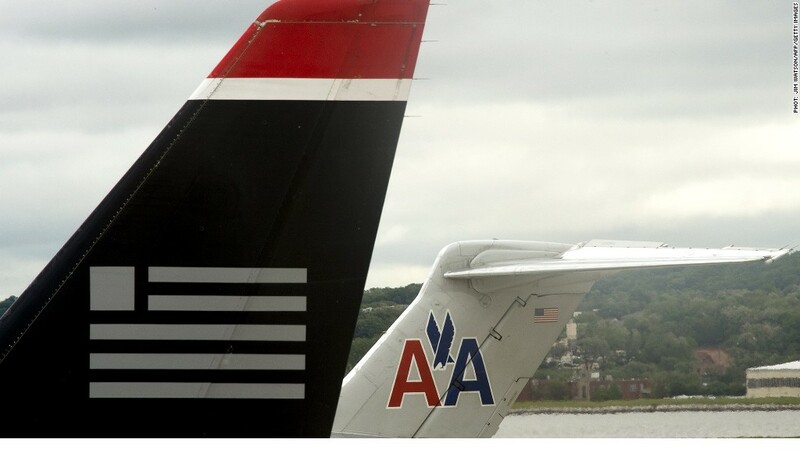 The airline has said it is looking at strategic alternatives, which include a possible merger with US Airways. American has confirmed that is has shared confidential financial information with US Airways (LCC) management as part of discussions on a possible deal. US Airways had no comment on the pilots' vote Friday. The pilots union, as well as the Transport Workers union, which represents ground workers and the Association of Professional Flight Attendants, are all on record supporting a deal with US Airways. The other two unions had already approved their own concession deals with the airline. After the pilots rejected the original labor deal with American in August, the airline won bankruptcy court approval to impose new contract terms on the union members. In response, the airline said there was a spike in pilots calling in sick and filing maintenance complaints on minor items, which caused flight cancellations and delays to soar. The union denied any coordinated effort, but the service problems largely vanished after the airline agreed to resume contract talks with the pilots in late September.